The group started the first evening with a cocktail reception at the historic Pendennis Club, with our hosts American Beverage Marketers including William Hinkebein, Tim Black and Lisa Norberg. The following day brought a full tour of the American Beverage Marketers plant just across the state line into southern Indiana. 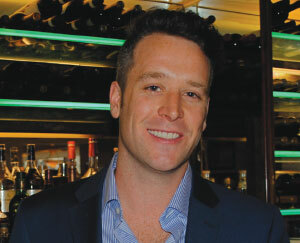 The learning continued on their multiple brands – Finest Call, Master of Mixes, REÀLCocktail Ingredients and Agalima – along with a mixology session with Dean Serneels. The third day gave way to visiting two amazing Bourbon distilleries. 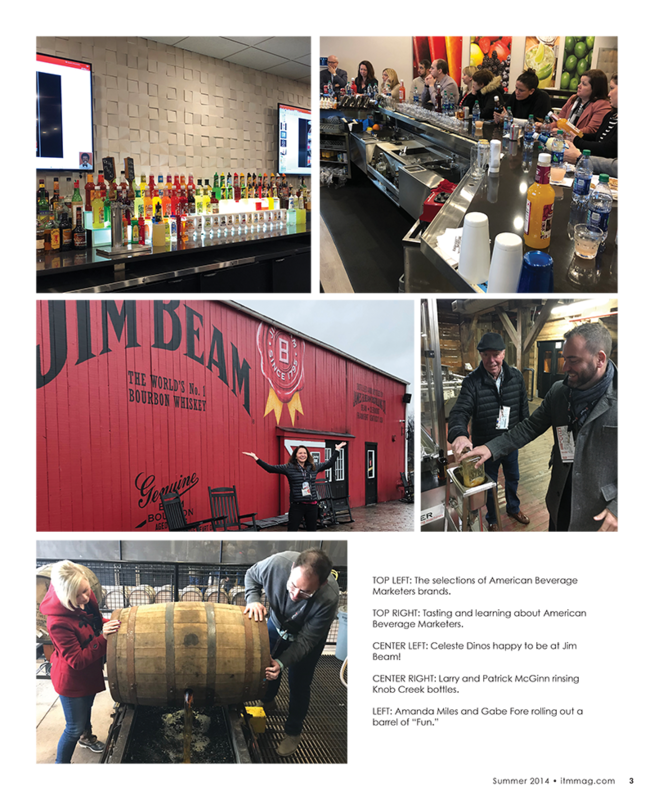 First was a tour of Jim Beam Distillery, hosted by Beam Suntory. 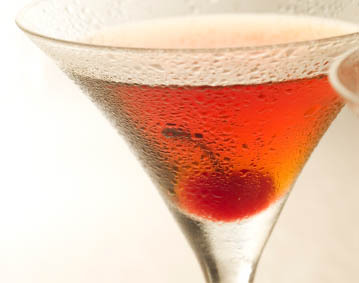 Beam Suntory’s brands include Jim Beam, Knob Creek, Basil Hayden’s, Baker’s, Booker’s and much more. 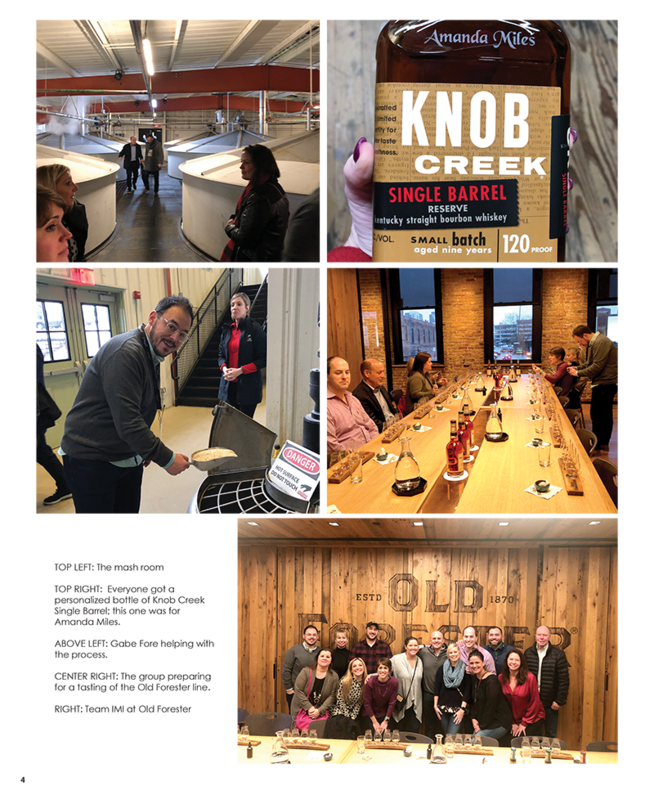 “This is such a great day – getting the opportunity to walk around Jim Beam, learning how Whiskey is made, and doing some tasting along the way, on a misty winter day. It’s perfect Bourbon drinking weather!” said Amanda Miles. 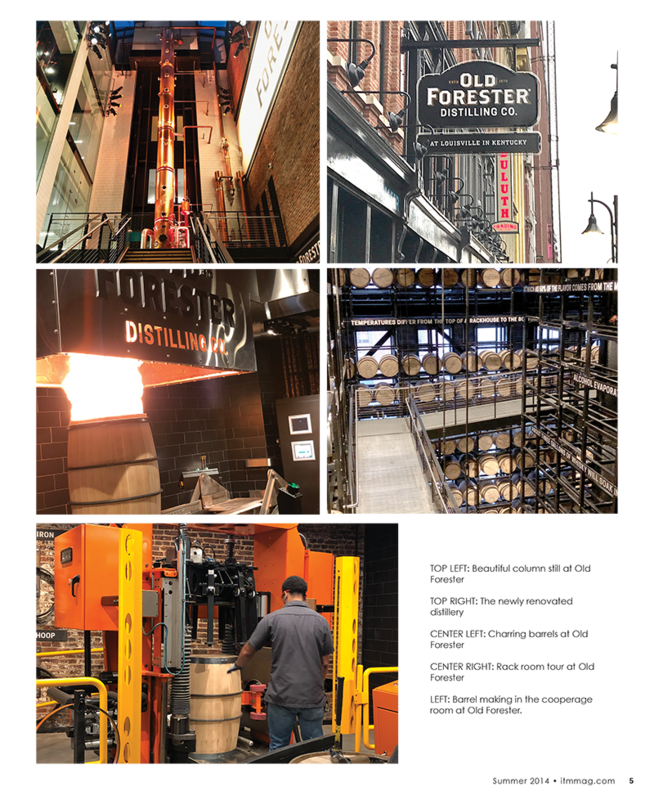 The day was capped off by a tour, hosted by our great friends at Brown-Forman, of Old Forester’s new property, Whiskey Row distillery in downtown Louisville. 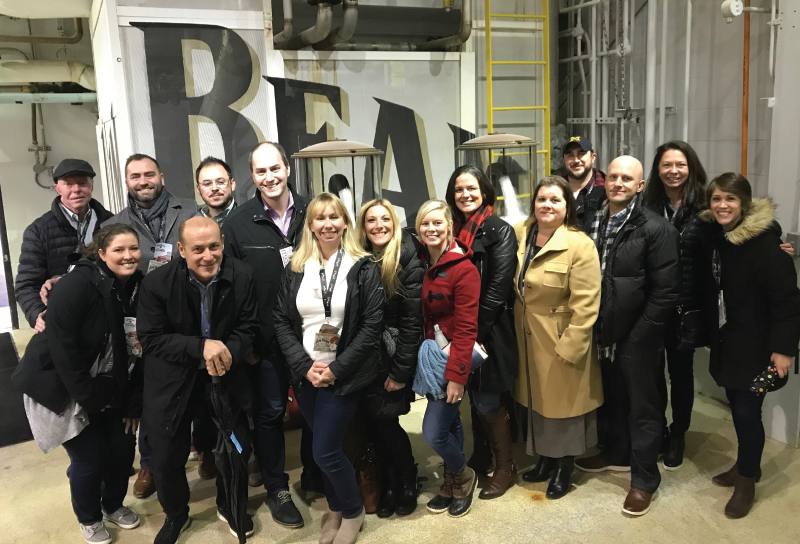 Having recently undergone a $45 million renovation, the distillery is housed in the same building that the brand called home before Prohibition. The historical site experience takes guests through the Bourbon-making process from start to finish including fermentation, distillation, barrel making, aging and bottling.